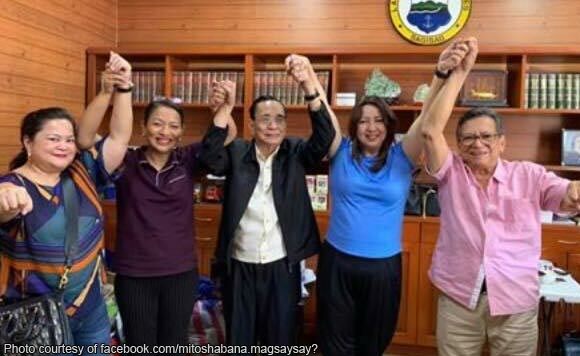 Mitos Habana Magsaysay is hoping to become congresswoman of Zambales again. The politiko filed her candidacy for the first district of Zambales and Olongapo City on Thursday, November 27, the last day the Commission on Elections allows for substitution. Magsaysay has substituted her father-in-law, former Zambales governor Vicente “GoVic” Magsaysay. “Finally did it! Filed my Certificate of Candidacy for Congressman of the 1st District of Zambales and Olongapo City,” said Magsaysay. “May God help me and guide me through this election. #DignityandIntegrity #MalasakitsaMamamayansaMalinisatMarangalnaPamamaraan,” she added.